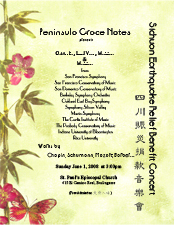 Overwhelmed by the news of the devastating earthquake that struck China's Sichuan Province, musicians here in the Bay Area will give a benefit concert presented by Peninsula Grace Notes on this Sunday, June 1st in Burlingame. Members of Berkeley Symphony, Silicon Valley Symphony, Marin Symphony and San Francisco Symphony Will join together to perform Mozart's Divertimento and Adagio for Strings by Barber conducted by Florin Parvulescu. June 1st is Children's Day, a favorite holiday for children across China. In the first half of the concert, local young musicians age 6 to 17 will perform as a tribute to the thousands of children who lost their lives, their parents and their homes in Sichuan. 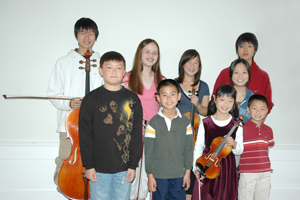 Shanshan, a 17-year old violinist from Sichuan, will perform Spring of Xijang. The second half begin with violinist Wei He, San Francisco Conservatory of Music faculty, whose parents in Sichuan survived the quake. 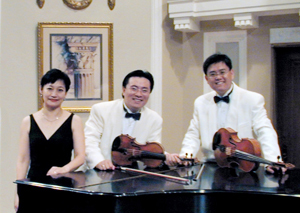 He will join by the newly appointed assistant principal cellist of San Francisco Symphony Amos Yang, pianist Dorian Ho and violist Jay Liu in the 3d movement of Piano Quartet by Schumann. The concert is free admission for all ages. 100% of all donations will directly benefit the earthquake survivors, and are tax-deductible as allowed by law.